For Logan Couture, the opportunity was a perfect fit. On August 16 in London, Ont., the 28-year-old San Jose centreman will host the first annual All-in for Brain Research charity event at Centennial Hall. For Logan Couture, the opportunity was a perfect fit. On August 16 in London, Ont., the 28-year-old San Jose centreman will host the first annual All-in for Brain Research charity event at Centennial Hall. Proceeds from the casino-themed gala will go to support concussion awareness, research and rehabilitation programs run by the Fowler Kennedy Sport Medicine Clinic and Schulich Medicine & Dentistry, Western University (UWO). 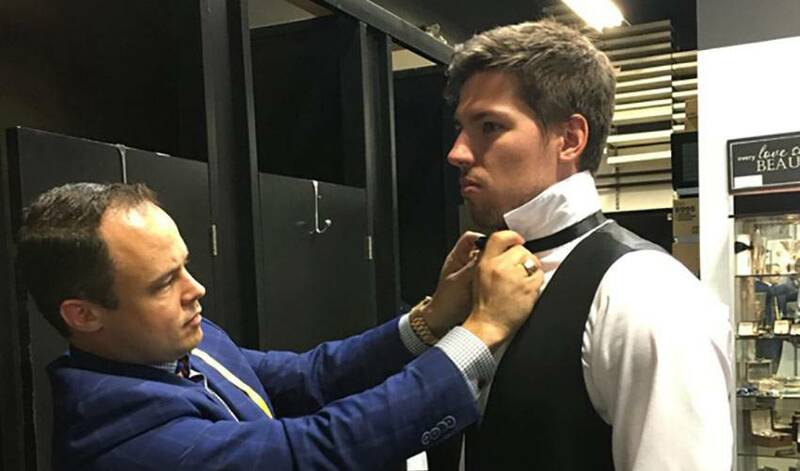 The idea came to Couture when he was playing for Team Canada in the World Cup of Hockey tournament last year. “Basically, it started last summer,” said Couture, who grew up close to London. “(Hall of Fame inductee) Eric Lindros has been a doing a lot for London, for UWO, and I went to his event, See The Line. Eric’s a great guy and the idea is a great one. Couture will have plenty of support on the night of August 16. Lindros, Chris Tierney, Jamie McGinn, Hockey Night in Canada host Ron MacLean, Olympic gold medal high jumper Derek Drouin and Olympic bronze medal decathlete Damian Warner are among those scheduled to attend the gala. He’ll also get the opportunity to catch up with many of the people he’s met through this initiative. Couture, who has played in 504 regular season NHL games, is hoping the event and continuing research will help as many people as possible, including children who have had to contend with concussions. “It’s not even at the pro level – it’s more geared towards kids,” said Couture, of All-in for Brain Research. “You hear stories about kids getting injured, coming back too early, then getting injured again and it has a huge effect on their lives. That’s something I want to help with, that these kids don’t have to go through that. So, too, are many others. It’s a sentiment echoed by Dr. Michael J. Strong, dean, Schulich School of Medicine & Dentistry. For more on the event, including ticket information, visit http://www.couture39.com. When it comes to being game-changers for concussion research, Logan Couture and Eric Lindros are definitely all-in. This year's Allstate All-Canadians camp is underway. Here are some of the week's top highlights.